The Education Ministry via Encik Mohd Solihan Badri, Corporate Communications Unit, has posted its arguments in defence of its decision to abolish the policy of teaching and learning Science and Math in English (PPSMI) with the new policy Upholding the Malay Language, Strengthening the Command of English (MBMMBI), (Science & Mathematics: Plan will boost BM, English, NST October 11, 2010). The Parent Action Group for Education Malaysia (PAGE) would like to correct a few misleading and incorrect statements by Encik Mohd Solihan. In 2008, after the fourth ministerial roundtable discussion under the leadership of the previous Education Minister and the late Arwah Datuk Razali Ismail, and intellectual debates and expert consultation, the general agreement was that PPSMI was a good and beneficial policy and that it would be maintained. However in 2009, our new Education Minister under pressure from the street demonstrators and without consulting the stakeholders, completely overturned the policy within just three months of taking office, just days prior to the Manik Urai by-elections. It was clearly a political decision with very weak “intellectual” arguments which PAGE has extensively won over in previous debates and forums. In May 2010, in reference to a suit by some students against our government to declare PPSMI unconstitutional, our High Court ruled that PPSMI is NOT unconstitutional and it is also in line with the “Akta Bahasa Kebangsaan 1963/1967”. The spirit of our Education Act 1996 also mandates that our government takes into account the general principle that students should be educated (in the language) according to the wishes of their parents. No doubt, the new MBMMBI policy will increase the teaching of the English language from 16 per cent to 21 per cent of teaching time. However, with the removal of Science and Math in English, the overall exposure to the English language will drop from 41 per cent to 21 per cent. This is a significant drop by half. Any linguist will tell us that it will be a total disaster for our students’ as far as comprehension of the English language is concerned. Scientific English will also be totally wiped out to be replaced with Scientific Malay which has no commercial or intellectual value in the current competitive knowledge-based economy. We may stand tall against Indonesia which currently is the biggest exporter of maids and cheap labour to our country. Other than that, God help us. Comparing English vs Bahasa Melayu, the percentage of knowledge or articles available in the two languages are approximately 99.9 per cent vs 0.1 per cent respectively. We can find a significant number of intelligent and knowledgeable articles in English but the ones in Bahasa Melayu or Bahasa Indonesia are mainly from blogs with very little intellectual content. Muslims believe that the first injunction brought by the Prophet Muhammad (peace be upon him) is “Iqrak” or “Read” to gain knowledge. With the new MBMMBI policy our children’s comprehension of the English language will be extremely limited and their access to the knowledge of the world will also be severely handicapped. This is totally in violation of the principles of the Islamic religion. PAGE calls upon our leaders to do what is right. 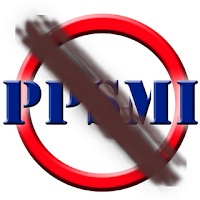 Reinstate PPSMI in schools that want it. Ego and saving face of politicians is a small price to pay for the future of our children and our beloved country. Well, what's your thought my friends? Feel free to comment here. I still prefer PPSMI than this newly IMplemented MBMMBI system. english standard may degrade. nah nah, MBMMBI has more english hour now. it is different from las time. shud be a beautiful system . KPM has done a good job! Go to rural areas like Pedalaman Sarawak..u will found that PPSMI is useless.. during PPSMI, we are not teaching, but translating the words..wasting time to translate the words rather than teaching..
PPSMI should be continued for secondary school start from Form One as the pupils gain and build up their foundation knowledge of maths and science concepts in primary school by using their own language. After this stage, they need to learn in English to follow the global trend.